"Bloom" is an album of dharma songs written and performed by Ravenna Michalsen. She says "I am trying to start people in the direction of writing/making good dharmic music that is singable and pretty (and in English)." She has succeeded. The music is pure and simple. Ravenna has a haunting and evocative voice and the arrangements are just right. The devotional nature of Ravenna's music comes through clearly. When Ravenna began to write songs about dharma (the teachings of Buddhism), what she wanted above all was to have the music of the songs be as important as the words; to write melodies people would find themselves singing unexpectedly. 'Bloom' is a collection of devotional songs to figures from the pantheon of Tibetan and Indian Buddhism: Guru Rinpoche; Machig Labdronma; Yeshe Tsogyal; Milarepa; Dolma (Tara) and others. Ravenna has a haunting voice to match the longing expressed in the lyrics to experience the awakening those great practitioners accomplished. An unusual, yet joyful album, 'Bloom' is well worth a listen! Her music is informed by her experience of the teachings of Sakyong Mipham Rinpoche. "Sing me of all the many ways to tame this wild mind"
Ravenna Michalsen trained as a classical cellist for 14 years until developing arthritis and turning to singing and songwriting. She studied as a child at Neighborhood Music School and continued her music studies at Yale as an undergraduate. 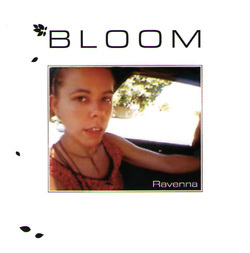 After struggling with arthritis and the inability to continue with cello, Ravenna turned to singing and song-writing, releasing her first album of original dharma songs, entitled 'Bloom', in January of 2006. After the release of 'Bloom', Ravenna performed relentlessly and continued to hone her songwriting. 'Dharmasong', Ravenna's second album (released December 2007), has been glowingly reviewed by various websites. Wildmind.org called it "...gutsy, powerful, colorful and as deeply devotional singing as you'll ever hear." The New Haven Advocate wrote: "The adjective 'meditative' might seem too appropriate for an album of Buddhist-inspired songs, but there's really no better way to describe this effortless, enchanting music. With an absolutely impeccable sense of phrasing and pure, confident vocals, Michalsen inhabits her sometimes a cappella music with integrity and grace..."